The Performance Awards is a unique and exciting program for ballet dancers age 6 and above and is offered only during the Fall semester. In this program, each dancer is highlighted and performs a series of dances, choreographed from the American Academy of Ballet, that are taught along with our ballet curriculum. The Performance Awards are a non-competitive program and every student receives a certificate and medal of participation. There are 12 levels, allowing dancers to build upon their experience, year by year. 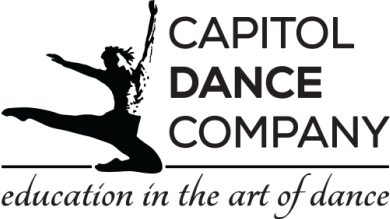 If your dancer is interested in participating in our Performance Awards program, please speak to your dancer's teacher to inquire more information. Stimulated by the desire to improve their performance, students make exceptional progress. A challenge for the students to excel. Every student is acknowledged - from the exceptional to the average students who seek recognition none-the-less for their endeavors. The solo dances enhance technique and performance quality. Parents have the opportunity to see their children dance on their own, in an environment that is not competitive. Maintain interest and enthusiasm over a period of years as the students progress from level to level. A ready-made program of choreography that sets attainable goals for achievement. Congratulations to our 2018 performance awards dancers! Performance Awards is only offered in our fall semesters. Check back in Fall 2018 for the next Performance Awards schedule!